Arrests for loitering and prowling can result from a number of scenarios and the penalties for these offense can vary greatly depending on the alleged conduct and circumstances involved in the case. If you have been arrested for loitering and prowling you should speak with an experienced Orlando criminal attorney at your earliest opportunity to learn about your rights and the defenses that may be available to you. This offense occurs when a person loiters or prowls in a place, at a time, or in a manner not usual for law-abiding individuals, under circumstances that warrant a justifiable and reasonable alarm or immediate concern for the safety of persons or property in the vicinity. Among the circumstances which may be considered in determining whether such alarm or immediate concern is warranted is the fact that the person takes flight upon appearance of a law enforcement officer, refuses to identify himself or herself, or manifestly endeavors to conceal himself or herself or any object. Unless flight by the person or other circumstance makes it impracticable, a law enforcement officer shall, prior to any arrest for an offense under this section, afford the person an opportunity to dispel any alarm or immediate concern which would otherwise be warranted by requesting the person to identify himself or herself and explain his or her presence and conduct. No person shall be convicted of an offense under this section if the law enforcement officer did not comply with this procedure or if it appears at trial that the explanation given by the person is true, and if believed by the officer at the time, would have dispelled the alarm or immediate concern. Loitering and prowling is a misdemeanor of the second degree, punishable by up to 60 days in the cIf ounty jail. If you or a loved one has been arrested for loitering and prowling, speak with an Orlando criminal attorney. In many loitering and prowling cases, a properly prepared defense by a criminal lawyer will result in either reduced penalties, reduced charges, or a dismissal of the charges. Even in loitering and prowling cases where the evidence of guilt is overwhelming, a properly prepared defense and presentation of mitigating circumstances by an Orlando criminal attorney can result in significant decreases in the penalties you receive. 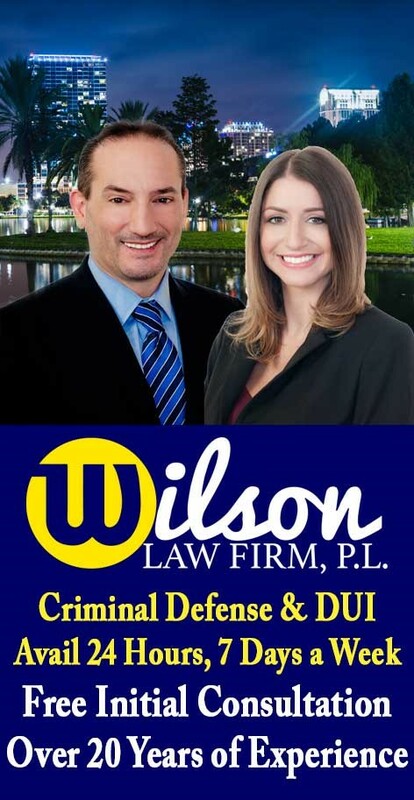 Loitering and Prowling Crimes – The Wilson Law Firm provides a free initial consultation with an experienced Orlando criminal attorney. Call us today to speak with an Orange County criminal lawyer about the legal process and your rights.